As of our most recent volunteers’ meeting, on 4th November 2014, we now have 53% of the chassis in racks at TNMoC. A further 10% are complete and in use in volunteers’ workshops and homes for testing subsystems, with another 5% under construction. So over ⅔ of all chassis are physically complete or close to completion. The most recent additions have been the order decoding system designed by James Barr and constructed with help from David Milway and Tom Toth. 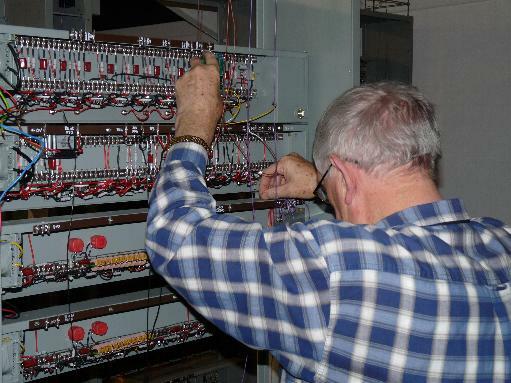 John Pratt has almost completed the counting and coincidence logic for the main store addressing system and has also been working on the transfer system that connects the input and output buses interconnecting the major EDSAC subsystems. Nigel Bennée continues to develop the arithmetic unit and has the accumulator, adder and shifting units working at his home. John Loker and Peter Isley are assisting with the construction of chassis. Marshall Amplification has finished construction of 21 of the required 42 storage regeneration unit chassis. The remainder have been constructed by project volunteers, with just two remaining to be completed. Peter Haworth, Les Ferguy and Don Kesterton have set up a workstation at TNMoC checking and commissioning – at the last count 20 units have been signed off. Andrew Herbert’s manufacture of 50 formers will allow the next batch of tuning coils to be made by Chris Burton and fitted by Peter and his colleagues. Chris Burton has constructed a period 6V power supply for the digit pulse generators to replace the interim mobile phone charger used to date. Peter Lawrence and John Sanderson have made some further improvement to the clock and digit pulse system: Peter has completed the design of the pulse distribution units and John is constructing them so that pulses can be supplied as needed by other systems. Chris has also begun to investigate the clock monitor unit and the “three oscilloscope” unit. Peter Linington continues to investigate long delay lines, chasing down sources of echoes that could lead to reliability problems. Work on initial orders has slowed down while Andrew Brown is away on sabbatical and John Sanderson is busy with constructing clock and digit pulse distribution units. An engineer’s switch panel is also required to enable basic testing before the initial orders system can be connected. Bill Purvis has completed a virtual printer and tape reader which work with his FPGA emulation based on the ELSIE logic simulator. This will help prove the interaction of the peripherals with the rest of the logic. 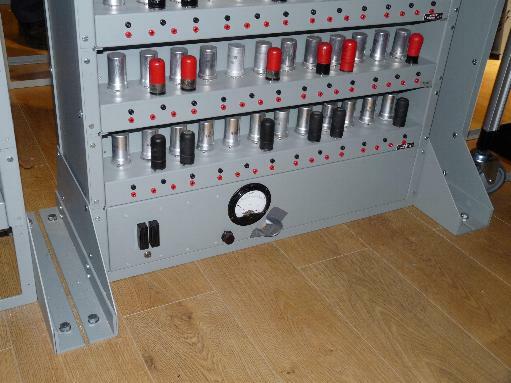 Most completed chassis now have Traffolyte labels as per the originals – in a few cases fitting these with self-tapping screws has been a source of short circuits so in places glue and dummy screw heads have been used instead. Dave Allen continues to produce videos on the progress of the project and the work of individual engineers, most recently visiting Chris Burton and James Barr. The EDSAC gallery barrier is now complete with information panels attached. Fundraising remains a priority. One of the trustees has kindly underwritten the remaining budget while additional donors are sought, enabling work to continue unimpeded. 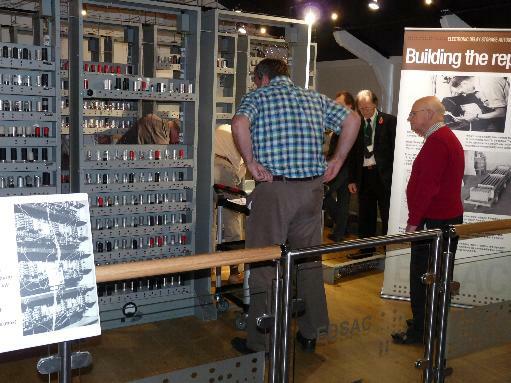 An event took place on Wednesday 26th November 2014 to celebrate the completion of the EDSAC gallery at TNMoC and the start of the commissioning phase of the project. The museum is lending a number of artefacts to the IBM office in Bristol. 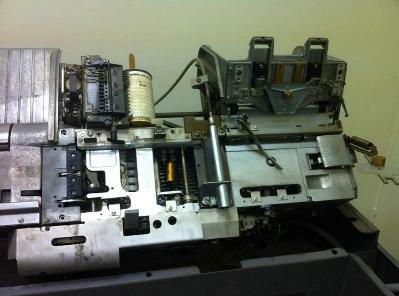 We have heard that some 1940s/1950s punch card equipment may be available from the IBM office in Lyngby, Denmark. We are exploring the possibility of shipping these to Hursley. Two of our AS/400s are now working, a third has an intermittent disc error. Work continues on a fourth. We hope to obtain a copy of CICS/400 for demonstration. We now have the capability of transferring video tapes directly to PC from a combination of different VCR formats. One of the CCS meeting attendees has borrowed a couple of video reel tapes to see if he can find a facility to view and transfer the collection we have in the museum. Donations this month include a Proprinter I and a BBC micro. The 024 card punch that we recently received has been brought back to life. It was in some places rusty and in many places gummed up solid but a couple of day’s work has seen it punching cards again. It and its companion 056 card verifier (next to receive the treatment) came without table tops, so we are making replacements from laminated chipboard – wrong colour but they will keep the keyboards off the floor! There are still a couple of features that need attention, and a lick of paint would be good if we can find some IBM spray grey. The replica continues to provide a good service of demonstrations to the public on four days per week thanks to an enthusiastic and diligent group of volunteers. On a typical day the team might talk to 30 or 40 people plus one or two groups such as school or college groups. Over the last few months, volunteers have had to compete audibly with very loud general presentations in the Revolution Manchester gallery, but that is gradually being moderated. The machine itself continues to perform well with the exception of the main store CRT which needs a lot of careful adjustment, but fallback to the semiconductor store means the machine can keep going. The two other control and accumulator CRTs have worked well with their amplifiers for two years without failures. In the rest of the machine, a couple of diodes and two low-emission pentodes have failed over the last year and one old capacitor. This is a remarkable run and a tribute to the hard work and patience of the team leader Brian Mulholland and his assistants in keeping on top of maintenance and repairs. The 803 has a serious problem. While running a music program, it came to a stop. Unfortunately, there was no-one close by at the point of failure so the only observed symptom is that it stopped. Attempts to reload the machine failed – it simply did nothing. It is not however, a tape reader problem, as entering 71 instructions via the keyboard advances the reader. The machine has been red-padlocked until expert John Sinclair can look at it. The MCB24 power supply for the extra store on the 903 failed recently, so the 903 is currently running with 8K rather than 16K words of store. The fuse for the +5 volt 15 amp supply blew and we’ve traced the fault to an arm of the bridge rectifier which has shorted. I’ve seen three different styles of rectifiers used here: a square one made by International Rectifier, a diamond shaped one made by Motorola, and four discrete stud-mounted diodes. We will probably have to fit a modern equivalent that fits the holes in the chassis, and we will probably have to replace the unusual fat 15 amp fuse by a ¼” one. We all expect the electrolytic capacitors in old computer power supplies to fail. I’ve had capacitor failures in 903 paper-tape station power supplies and in 903 plotter power supplies. But this is the third 903 MCB24 store/CPU power supply failure that I’ve seen, all of which were due to diodes, never capacitors. The old squares program has now been replaced by a long tape containing versions which run from different stores. This is to make sure that all the stores are exercised on a regular basis to avoid the Dekatrons becoming sticky. One of the Dekatron valve holders failed, causing a short circuit on the 370V supply, and a very unpleasant smell. It took quite some time to track down the source of the problem. The Dekatron itself survived. Aside from that incident the machine continues to perform reliably and is still in great demand by the education team at TNMoC. The text of the Home Page of www.ourcomputerheritage.org has been slimmed down and a scheme devised for an easier-to-use indexing scheme that will also allow integration of the new material on British minicomputers. The aim is that the new-look OCH home page will be in the same style as, and compatible with, the Home Page of the main CCS website. Besides promoting a uniform CCS image, the changes will allow the OCH material to be smoothly integrated into the whole CCS web presence. The changes, to be implemented by Dik Leatherdale and Rod Brown, will consume some effort and are therefore awaiting their turn in the list of other CCS tasks for which these hard-working gentlemen are responsible. Anyway, many thanks to them in advance! Seven volunteers are active in compiling information for British-designed minicomputers (1965-1985). Current progress for each group of minicomputers is as described below. In summary, the introductory sections for all seven groups is either complete or is showing positive signs. Business Computers Ltd., (Kevin Murrell). An introductory section has now been written. The compilation of supporting technical material continues. Computer Technology Ltd., (John Steel). Contact has been made with Iann Barron, founder of CTL and the principal designer of the Modular One. Iann has kindly written material for the Introductory Section. Contact has also been established with Patrick Sugrue, who is restoring a Modular One in Dorset – see: redhawksys.com/index_files/Page627.htm. Patrick has kindly scanned a large amount of technical material, which is being made available for John to use once he has finished work on the Ferranti Argus – (see below). Ferranti Ltd. (the post-1965 Argus computers), (John Steel). The basis for the Introductory Section now exists. John is still hard at work on writing up the technical details of the Argus 400, 500 and 700, in support of the introductory material. ICL (including System Ten, System 25 and DRS20). (John Panter and Alan Wakefield). A collection of DRS20 material is in the process of being catalogued and (hopefully) scanned, following a visit to the Science Museum archives at Wroughton. Using this, Alan is working on the introductory section for the DRS20. Work on the System Ten and System 25 has not progressed much since the last progress report. However, material which could form the basis for the introductory section already exists, in the form of two substantial Resurrection articles written by Michael Knight in Resurrections 47 and 49. High Level Hardware Ltd. (Lisa Robinson). The introductory section is complete. This makes reference to Lisa’s HLH Orion website – see: www.iscene.us/HLH/ – which continues to expand. For example, there is now a useful section on comparative performance. Using the Dhrystone Benchmark, the HLH Orion is measured against a number of contemporary machines, including a Vax 11/780, and a Sun 3/160. The Orion is also compared against the Symbolics 3640 Lisp machine via the Kyoto Common Lisp (KCL) benchmark. GEC (the 2050 series, 4000 series & System 63). (Dave Goodwin). Good progress has been made on the introductory section, which is now more or less in its final form. This is being supported by technical information gleaned from original technical manuals. Information Computer Systems: (Multum and the ALP1, ALP2 & ALP3 processors). The Introductory Section, based on Bill Findlay’s document, just needs re-formatting. Offers of help would be appreciated! In summary, OCH work on this machine could soon be complete. We are now into execution in supervisor state, and encountering new instructions. Our volunteer team generates excellent input with their ability to run the emulations on their own computers. We are now into parts of the system that are covered in manuals that we have not fully processed, so we are putting effort into documentation once more, and exploring the world of free OCR software. We are currently using FreeOCR on Windows and tesseract on GNU/Linux. I have a suspicion that both use the same engine. Dik and Bill have been somewhat distracted by other things in their lives [very true: Ed. ], but as I get more involved (e.g. getting a copy of the source) I am beginning to wonder if my temporarily shelved project to breathe life into Edinburgh’s implementation of Atlas Autocode on KDF9 is actually an incarnation of compiler-compiler. Any background info on this would be welcome. The source of the emulation of the George3 executive is now released under GPL. The preparation of my talk on the 3Rs has crystallised some strategic ideas, in particular the value of making the preserved software relevant in today’s world in the hope of interesting museums and the like in actually retaining the stuff long term. I’m pleased to report that the 2966 project has reached a major milestone this month. On 15th November we successfully loaded George 3 under CME for the first time and by the end of the day the 7501 terminal was available for visitors to play the Colossal Cave adventure which is normally hosted on a Raspberry Pi running the George 3 Executive Emulator. This has been made possible by the disc emulator which was alluded to in the last report. A huge amount of effort has gone into the project over the last few months to get this up and running. More work is still required on the software to enable emulation of up to four FDS640 discs – at the moment we are restricted to two EDS80s. The finished emulator will live in the back of the DCU cabinet. We have not had so much luck with peripherals. The lineprinter failed last week with a suspected power supply problem, but we do have a spare unit in storage. There’s also been a spate of power supply failures in the main cabinets, after a considerable trouble free period. Three 12V/8A supplies have failed (two on the same day) in the store and DCU cabinets, which has exhausted the supply of spare units of this type. The failed units have now all been assessed and one good one made up. The others will be repaired in due course. We obtained service kits for the compressors in the GTS decks, but the pump still seized up after a few hours operation with new vanes fitted. 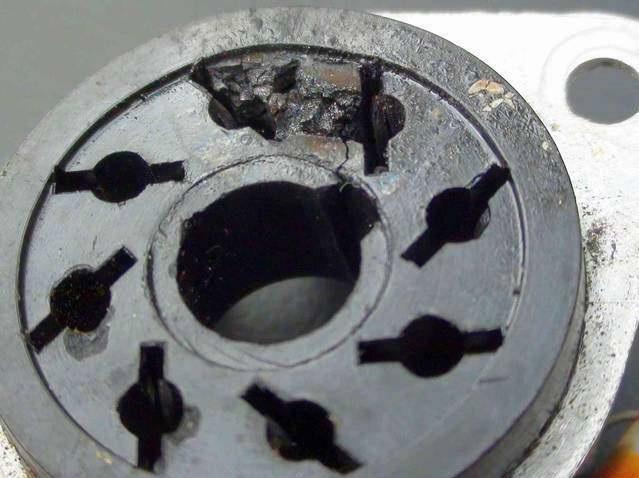 We are in touch with the manufacturer and hoping they can help to diagnose the problem. Alan has started assessing and cleaning one of the FDS640 drives. The Annals of the History of Computing is the premier journal in computer history. For examples of content and an idea of scope, range and level, see www.computer.org/portal/web/computingnow/annals. By an arrangement with Annals, individual subscriptions are available to CCS members at substantially discounted rates. We are gearing up now for 2015 subscriptions. For details contact . Excellent progress has been made over the past two months. A significant part of Babbage’s Mechanical Notation, the language of signs and symbols he created to describe the mechanism, has been decoded. The Notation is a lost language. We have examples of the literature but no complete dictionary or grammar book. The process used to decode the Notation is not unlike that of decoding hieroglyphics using the Rosetta Stone: we have the already-completed Difference Engine No.2 (DE2), built largely without reference to the Notations, and we have the detailed Notations that describe it. Intimate knowledge of the mechanisms of the Engine is being used to decode the symbolic representation of its operation and structure contained in the Notations. A dictionary is being compiled as the decoding progresses, and the rules of use are being formulated from known examples of its application. This study focuses on Difference Engine No. 2. The relevance to the Analytical Engine Project is that the Notations for DE2 date from the mature period of the Analytical Engine and that three of the six manuscript sheets of the Notations specifically describe the output apparatus which was designed for the Analytical Engine as well as DE2. A fourth sheet of Notations relates in part to this shared device. So there is reasonable confidence that the version and usage of the Notations for DE2 are contemporaneous with significant periods of the Analytical Engine design. An understanding of the Mechanical Notation will be an invaluable aid to understanding the detailed design and function of the Analytical Engine, as well as giving insights the role this symbolic language played in Babbage’s design process. The next step is to formalise the language into a software tool and explore the extent to which it serves as a hardware description language for the Engines. Substantial progress has also been made on the alternative design of calculating mechanisms capable of tabulation by differences using technologies available to Babbage in the 19th century but not used by him – this as a counterfactual answer to the question: how else might Babbage have done it? There is further progress preparing software simulation tools that will use as input the Mechanical Notation formalised into a hardware description language. In September a small but intrepid group of CCS members made the long trip to Paderborn in northern Germany to visit the Heinz Nixdorf Museum which, at 18,000 m2 is the world’s largest computer museum. The museum is every bit as impressive as that figure suggests. The main exhibition stretches across two spacious floors arranged in roughly chronological order with exhibits stretching from early (3,000 BC) examples of the written word to the present day. Your editor was particularly taken with a collection of mid 20th century IBM punched card equipment but there is something for everybody here. At the opposite extreme are some diminutive, autonomous, robot guides which will take you to specific exhibits or play hide and seek with you, apparently depending on your height. Gaps in the historic timeline are filled with beautifully constructed replicas and demonstration pieces. Unlike TNMoC, few of the exhibits can be seen working, but this is an area which the museum is keen to enter and we were shown a number of projects under development. Our hosts, museum director Dr. Jochen Viehoff and Rainer Glaschick, the museum’s senior volunteer were the very soul of hospitality giving of their time in a most generous manner. If contacted in advance they would be pleased to personally welcome more CCS visitors. A visit to the museum can be recommended most highly. Many of the exhibits have multi-lingual captions but not all, so an initial visit to the museum shop to purchase an English language version of the guide book is suggested. Alternatively an English hand-held multimedia guide is available but human guides can also be arranged in advance. Their website is www.hnf.de/en/home.html. Oh and by the way, all those tired old jokes about German cuisine are wrong. Yet another Apple I has been sold at auction (see Resurrections 53, 59 & 60), this time to the Henry Ford Museum for $905,000. My predicted £1,000,000 approaches ever closer. Our friends in the Leo Society are proving most adept at getting media coverage. In the space of three weeks they had a 15 minute programme on BBC Radio 4, a short feature on The One Show and an article in the Richmond and Twickenham Times no less. They have also restarted publication of their excellent newsletter which can be found on their website www.leo-computers.org.uk. It is with great sadness that we have to report the passing of our colleague Hugh McGregor Ross at the great age of 97. A frequent contributor to early editions of Resurrection, Hugh last appeared on these pages when he published his long-awaited tome on Pegasus (see Resurrection 60). We hope to carry a full obituary in the next edition. In Resurrection 67 I promised a review of The Imitation Game, the new film about Alan Turing. Sadly by the time Resurrection 68 hits the streets the film will no longer be showing in many cinemas. The review has therefore been added to the Society website at www.computerconservationsociety.org/imitation.htm. This year marks the happy occasion of the 25th anniversary of the Computer Conservation Society founded by Doron Swade and Tony Sale. This is therefore a special opportunity for me to pay tribute to the skills and dedication of CCS expert volunteers who have established computer conservation standards with numbers of ambitious restoration and reconstruction projects, to our speakers and presenters, to those who have organised these and other activities, publication, digital publishing; and to the support from the Committee, which has enabled these projects, presentations and activities to flourish. We now have over 1,200 members. The Committee members held an informal 25th anniversary lunch at which we were delighted to welcome former Chairmen and others who had contributed and achieved so much with the CCS, and to raise a toast to the CCS and its next 25 years. □ Alan Thomson – Web Editor. And we were also very pleased that Gordon Adshead and Charles Lindsey from the Committee in Manchester were able to join us. The first full reconstruction project was the Manchester Baby, ready in 1998 for the 50th anniversary of the original computer running the first stored program. The fully working Baby continues to attract large crowds at the Manchester Museum of Science and Industry, MOSI. At Bletchley Park, two brilliant CCS reconstructions are the remarkable wartime Colossus Mark II re-creation at The National Museum of Computing and the Bombe code-breaking machine on display at the Bletchley Park Visitor Centre. In the last few weeks, the Bombe has been designated the favourite artefact ever to have won an Engineering Heritage Award, voted for by Members of the Institution of Mechanical Engineers – ahead of Concorde and the Rolls Royce RB 211 engine. In the past 25 years, other restorations of original computers include the 1951 Harwell Dekatron (the WITCH), now recognised as the world’s oldest original working digital computer. Of all our other successes, this year I particularly want to mention Pegasus and its team led by Len Hewitt. Pegasus was one of the earliest machines chosen for restoration under CCS auspices. It completed all of its aims in terms of the CCS ideals set out by its founders. For many years, it was the oldest extant working electronic computer in the world. It was on public display at the Science Museum, maintained and successfully demonstrated regularly by a team of CCS members for some 20 years. Since sustaining an electrical fault in 2009, it has not been demonstrated and now the Science Museum authorities have decided to retire it permanently. A short film was made this year of Pegasus, to show in the Science Museum or on the web. The filming day was very much a celebration of the machine and the volunteers who have contributed so much time and effort. The CCS has been promised access to all the material produced and not used. Closure of the project this year marks a celebration of a success for the Society and its dedicated volunteers. We have some 16 or so current projects, which you will see listed with their project leaders on the Committee list at the back of Resurrection. Resurrection reports regularly on the ongoing work of the various projects. One of these projects is the ICT1301. After the safe recovery of the 1301 system at the end of the first 10 years’ work, a new donation of £1,301 has been made to TNMoC funding via the CCS and the 1301 project team led by Rod Brown. The new donation is intended to assist the start of the second phase of the 1301 team’s work - and its numerical significance is that £1,301 x 2 = £2,602 which is the total value of the donation that has been collected so far. □ the Bloodhound Argus Group. Regardless of any changes in the terrain in which we find ourselves, the CCS will continue to work towards the ideals of our founders. And we shall continue as a uniquely valuable resource in restoration, reconstruction and maintenance, and disseminating the facts about British computing history. □ Some unusual pathways in the development of information processing, from Edwardian databases to the mainframe-design zeitgeist. The Director of the Heinz Nixdorf MuseumsForum in Paderborn, Germany, gave a presentation about the development of algorithms and software for “programmable” machines, relating his talk to the objects in the Museum. Outside our meetings in Manchester and London, there was a second visit to IBM’s Hursley Park in Hampshire, kindly hosted by the volunteer curators of their museum and a visit to the Heinz Nixdorf MuseumsForum with a special guided tour. Some project team members have been visiting the National Museums of Scotland in Edinburgh. The Tony Sale Award, managed by the CCS and sponsored by Google, is being made this year. The purpose of the award is to recognise outstanding achievements in computer conservation by a person or group, and to give public recognition to such work world-wide. The emphasis is on highlighting a significant practical project. Entries arrive from across the world. The winner was announced at a presentation in November. The Science Museum, The National Museum of Computing, The Museum of Science and Industry and Bletchley Park Trust’s current activities are reported regularly to the Committee meetings. The Science Museum’s new Gallery, The Information Age, is about to open exploring the development of information and communication networks over the last 200 years. The National Museum of Computing is attracting more and more visitors. Amongst many other activities, it works with school children and young people. It is looking for more guides. Resurrection, edited by Dik Leatherdale, publishes articles and reports on CCS activities, projects, events and other news, including the technical details and uses of old computers and software and the stories behind them – how they came to exist, what happened once they did, and so on. Our CCS website gives information about the Society and its programme of events. It links to the Our Computer Heritage website for which Simon Lavington is the Digital Archivist and provides technical information on the majority of British-designed old computers. □ Pete Chilvers, who was co-opted five years ago, and was able to keep us informed about TNMoC and Bletchley Park Trust. We thank Dan Hayton for his work as Treasurer. He will be remaining as Media Officer. David Hartley will be taking on the role of Treasurer for the forthcoming year. Roger Johnson, up to now Meetings Secretary, and Kevin Murrell, up to now Secretary, are going to swap roles and I thank them for their sterling work. Now that the number of Projects is increasing we have a new position of “Projects Co-ordinator”, David Hartley. The list of Committee members is published at the back of Resurrection. We are working more on archiving and cataloguing together with arrangements for storing our material. We are looking to see how we can update our media, with a view to be able to make good recordings for uploading online from our presentations. In these and other areas, such as finances and membership, the Officers and Committee may well be looking for assistance in the in the next twelve to eighteen months, and we would welcome offers of help. Finally Hamish Carmichael, the editor of those wonderful tomes An ICL Anthology and Another ICL Anthology (Google them if you don’t already have copies) is seeking further anecdotes for a third volume. He thinks it may be amusing to broaden the subject matter to include material from members of the Society irrespective of the origin of the machines. As Hamish remarks, “It would be a suitably light-hearted way of marking the Society’s 25th anniversary”. I do hope you will be able to contribute! Please would you send your stories to ? In conclusion, my thanks to all Committee Officers, Committee Members, Project Managers and other volunteer workers and all of you who read Resurrection, look at our website, attend our meetings in London and in Manchester and support the CCS. 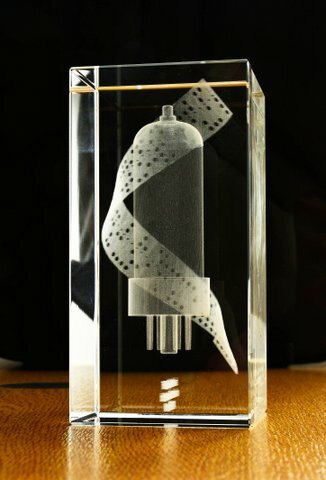 The Tony Sale Award for computer conservation is named in honour of Tony Sale, co-founder of the Computer Conservation Society of the BCS. Tony not only advocated computer conservation, but practised it. 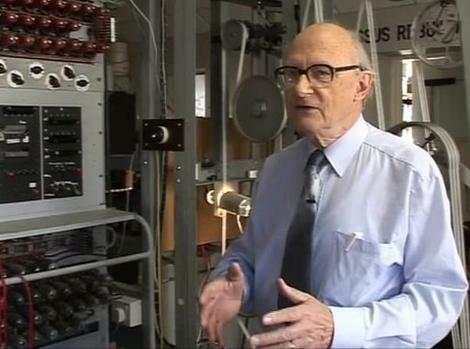 He led the 14-year reconstruction of the wartime Colossus code-breaking computer, the centrepiece of the National Museum of Computing at Bletchley Park. This is the second occasion that the award has been made. There were eight entries – a number that is a testimony to how computer conservation is now a flourishing worldwide activity. Every one of the entries would have been a creditable winner. In the event the judges were tied between two outstanding, very different, but equally deserving winners. One award was made for the Computer History Museum’s IBM 1401 Demo Lab. This was a classic restoration of a 50-year-old commercial computer. The IBM 1401 was one of the most significant machines in the history of computing. It marked the transition from IBM being a supplier of accounting machines to becoming the dominant computer firm of the mainframe era. The 1401, announced in 1959, was expected to sell or lease about 1,000 installations, but its popularity took IBM by surprise and the company went on to deliver about 15,000. Incidentally, the success of the 1401 is often attributed to the 1403 chain printer – at 600 lines per minute it had the printing capacity of four IBM tabulators. This made the 1401 very attractive for traditional punched card machine users who traded in their punched card machines for 1401s in their thousands. There are just a dozen (incomplete) 1401s left in the world, and two of them have now been brought back to life at the Computer History Museum in Mountain View, California. The project took a team of about 20 volunteers 10 years to complete. The 1401 exhibit includes not just the computer, but ancillary equipment including card readers, magnetic tape units and of course, the famous 1403 printer. The exhibit is a permanent static display and is also demonstrated “in steam” twice a week – and, as there two 1401s, one of them is guaranteed to be working. The second Tony Sale Award was made to Prof Raul Rojas of the Free University of Berlin, for Z1 Architecture and Algorithms. The original Z1 was designed by Germany’s greatest computer pioneer, Konrad Zuse (1910-1995). The machine was constructed during 1936-38, but was destroyed in a bombing raid in 1943. Historians are very careful about claims for “the first computer” – but if such claims are to be made, the Z1 deserves to be right at the top of the list. When he was in his seventies, Zuse decided to rebuild the Z1 as permanent exhibit for the Technology Museum, Berlin. The Z1 replica is a remarkable, but somewhat static, exhibit. 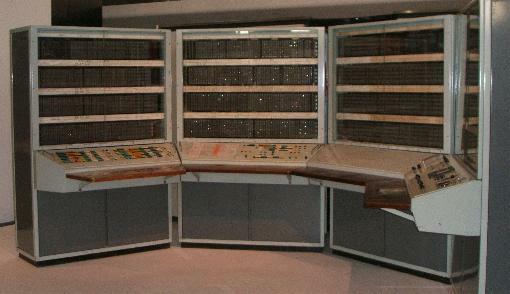 A wholly mechanical computer consisting of 30,000 parts, it was not robust nor reliable enough to be operated on a regular basis. Moreover Zuse – rather like the architect of a mediaeval cathedral – had left incomplete explanations. 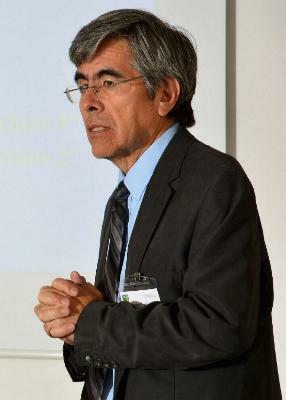 Professor Rojas therefore conceived the remarkable idea of bringing the machine to life – not physically, but virtually. His painstaking research involved gaining a complete understanding of the machine’s architecture, algorithms and mechanical construction. This enabled his students to construct a 3D visual simulation of the arithmetic unit for deployment on the web. In addition, hundreds of high resolution photos of the Z1 were taken, enabling web visitors to examine the machine from any angle with as much resolution as needed. In effect the Z1 has been brought out of the museum and delivered to thousands of website visitors (see zuse-z1.zib.de). It is a remarkable vision of how such complex artefacts might be delivered to a worldwide audience. It is a project that will undoubtedly give museum curators pause for thought. ◆ The WITCH-E project, a trans-Atlantic educational project, by David Anders www.elinux.org/WITCH. Over their working lives many computer professionals acquire materials of potential historical value. How do you ensure they are preserved? There are no hard and fast rules, but here are some ideas to get you started. First bear in mind that archiving is costly. An archive takes in materials with the aim of storing them indefinitely. It provides access to scholars and researchers and deals with copyright issues (for this reason donors are asked to assign copyright to the archive, and also “disposition rights” so that unwanted materials can be removed). Maintaining an archive is expensive both in terms of on-going cost, and in “opportunity cost” because archives are finite, and saving one set of papers means that another will eventually have to be foregone. Unless your papers are somewhat unique they are unlikely to be of interest to an archive in total, but some items may well be of value. If you really want your papers preserved, consider providing some funding to the archive: this won’t affect the decision to accept materials, but it will speed up their processing. Second, you need to get your papers in order. Unless your papers are self-evidently important no archive is likely to accept an unsorted box of miscellaneous materials. Getting your materials in order involves removing non-archival materials and putting the remainder into folders in some kind of systematic order (often chronological). It is useful to add a note to explain the contents of a folder at the beginning. If you can produce a hand-list or catalogue as a free-standing document, it will enable an archive to appraise and process the collection much more easily. Also, it may help subsequent researchers if you annotate (with initials and date) obscure items. It is unlikely that your heirs will be able to do this for you. Third, archival storage in the UK is in short supply compared with, say, the United States. The principal UK repositories for computer history are the National Museum of Computing, the National Archive for the History of Computing at Manchester University, and the Science Museum. There are also less obvious places: for example, museums and libraries often maintain local history archives – if you worked for a local company there may be some interest; universities commonly maintain archives and may be interested in small collections. There are also specialist collections for significant companies: for example the Marconi Archive (which includes Elliott Brothers) at the Bodleian Library, Oxford, and the Ferranti Archive at the Museum of Science and Industry, Manchester. What Materials will Archives Accept? Generally, computer archives are most interested in items that are 25 or more years old. Since the PC era, there has been an explosion of materials that archives have inadequate resources to deal with. Hence the interest is mainly in items that have survived for a few decades (itself an indication of potential historical value) and that are in danger of being lost. No society can keep all the printed matter created, and archives rely on time to winnow out the dross. Archives are especially interested in “grey materials”. That is, unpublished materials such as notebooks and working papers, research reports, program documentation, sales manuals, etc. Also of great interest are correspondence and memoranda, and ephemera such as product literature and company annual reports. Computer manuals are problematic. Manuals for first and second generation machines are appreciated if the archive does not already have a copy. 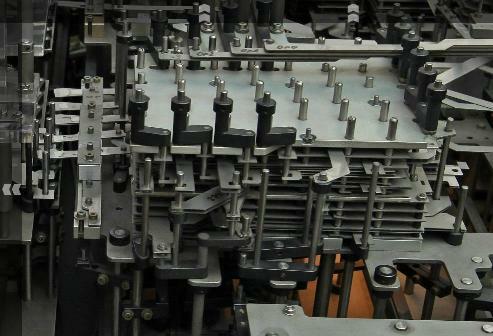 Manuals for third and later generation machines are difficult to deal with because of their volume. For example, it was once said the IBM was the largest publisher apart from the US Government: several thousand manuals were published for the IBM System/360. No archive can afford to house so much material which will be of interest to very, very few individuals. For obvious reasons, archives are much keener to accept this kind of material in microfiche form. Bitsavers.org is dedicated to preserving computer related documentation. National archives are primarily interested in domestic materials. For this reason, archives in Britain will be much more interested in items relating to British computer developments. It is generally safe to assume that US archives will look after their national interests, although all archives will be interested in non-national materials that are both significant and in danger of destruction. Archives are primarily interested in unique materials. If a book has an ISBN or a copyright notice from an established publisher, then it will be in a copyright library and an archive does not want to store duplicates. For any books published after 1960 the best thing is to give them to a book charity. Some pre-1960 computer books are quite rare, however, and these are worth keeping. Virtually all major periodicals now have on-line access, usually of their entire back catalogue, so are of little value to an archive. Magazines such as Byte and PC World are readily available in libraries so they too are of little interest. However, complete runs of a magazine may be welcome. Important exceptions to the general rule about published materials are trade magazines such as Datamation and Dataweek, product magazines such as Lotus Magazine, or subscription-only publications such as Software Magazine. Very few libraries have holdings of these, and they could be a valuable addition to an archive, especially if there is a substantial run. Another genre of great importance is reports by industry analysts such as Gartner and INPUT – typically market surveys or products analyses. Very few of these have survived and they are particularly useful historical sources. Photographs are much sought by archives: they occupy little space and have great historical value. To be of use, a photograph must be accompanied by sufficient information to identify the context and people – if this information is written on the back of the photograph, it cannot go astray. Digital photographs need to have the same information included as meta-data. Movie films and slides are historically valuable, and have few preservation problems. Software preservation is a minefield and current advice is necessarily contingent. Generally, few archives can accept code per se, but may well be interested in documentation. There are very few examples of programs for which a complete history exists – from specification to deployment – and this would likely interest an archive. Mass-market software may be of interest, if preserved in the original packaging (but note the “25 year rule” above). Digital media is another minefield. Archives are not yet equipped to deal with digital artefacts except on an ad hoc basis. Generally they cannot hold magnetic tape, hard disk drives, floppy disks, tape recordings, VHS or DVD because all magnetic storage systems have a finite life and data has to be periodically transferred to the latest secure format (currently NAS or cloud storage). If you have an important email archive, a reasonable strategy for its preservation is to print it out selectively on paper. Archives are conservative institutions and they are taking time to adapt to the digital world. 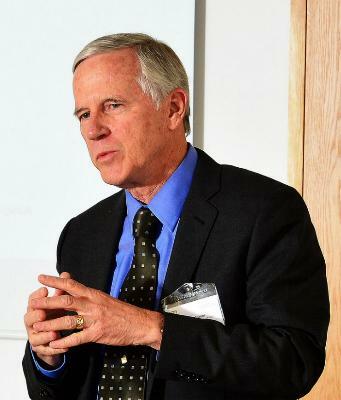 Martin Campbell-Kelly and Simon Lavington are both leading members of the Computer Conservation Society as well as being emeritus professors of the Universities of Warwick and Essex respectively. They can be contacted at and . The Computer Conservation Society was founded 25 years ago, in September 1989. I conceived of the Society while I was Curator of Computing at the Science Museum, a post to which I was appointed in 1985. Part of the logic of appointing a new curator was the growing perception that computers were going places. The personal computer boom, well underway in the mid-1980s, had raised public awareness. The cheeky Apple II, the tacky Tandy TRS-80 had a new rival that gave respectability to personal computing: the IBM PC had hit the market in August 1981 and caused a sensation of overpriced boredom. Here was something even cautious corporations could trust. At a national level there was excited rhetoric about the potential of a new industry – micro-electronics – and future economic success was predicated on the ability of the country to exploit this new technology. There was a kind of techno-hysteria in the media. Micro-electronics would spin silicon into gold. So part of the Museum’s thinking in not leaving the curatorial post vacant was that a new computer gallery would be needed in due course to reflect these remarkable developments and replace the then current gallery that had been opened ten years earlier, in 1975. The new gallery project was called the Information Age Project (IAP) – not to be confused with the newly-opened Museum gallery of similar name [ed.]. Funded by major computing companies this was to take the form of a new £4 million gallery on computing and telecommunications at the Science Museum as well as a major centre in Reading which had ambitions to establish itself as the centre of a British Silicon Valley. The gallery was scheduled to open in 1991 to coincide with the 200th anniversary of the birth of Charles Babbage, and I was the curator and project director. More significant than job titles was that funding was coming from industrial sponsors and the project was therefore outside the dogfight for limited internal resources. We put together a curatorial project team and I colonised an empty building in the Museum car park, off Queen’s Gate, as a project office. The building, a large single-storey flat roofed hut, had housed the staff canteen. It was vacant and neglected, and of no political interest to anyone at the time so there was no opposition to appropriating it. Live working exhibits were a celebrated feature of a visit to the Science Museum and part of a long and well-established tradition. The Museum had pioneered hands-on working exhibits with the opening of the Childrens’ Gallery in 1931 and this established the benchmark for such exhibits world wide – the San Francisco Exploratorium, the Bristol Exploratory, and indeed the seeds of the science centre movement itself. In the mid-1980s there were 600 working exhibits in the Science Museum’s public galleries and it was known informally as ‘The Push Button Museum’. Live working exhibits were an unquestioned part of visitor expectation. So in 1989 there was never any question of needing to justify having working exhibits. It was a natural, expected and part of a long tradition. It was clear that restoring to working order historic computers in the Museum’s collections for public display and demonstration was a specialised job, and that despite the prodigious skills of in-house workshops staff, machine-specific expertise would need to come from outside. The desire for working historic computers for gallery display in the proposed new Information Age Gallery was the first thread in the conception of the Society. The second thread in the conception of the Society was prompted by my experience as curator of computing in the course of acquiring machines and systems for the collection. Not infrequently I received calls from folk in distress, usually towards the end of the week. They had typically just been notified that the computer system they had managed, maintained, nursed and cherished often for many years, was now being scrapped by the company and was about to be disposed of within an improbably short time. I would drive off into the middle of nowhere and meet these folk. Almost all such donors offered technical help should we wish to display the machine working. Touchingly, some would tug my sleeve as it were as I left asking whether they could visit the machine in store, as though asking after an elderly relative in a home. Visiting these doomed equipments and engaging with their minders made it clear to me that there was expertise, goodwill and enthusiasm that lacked organisational expression. Also that these practitioners were geographically dispersed and isolated. I conceived of the Society in response to these two promptings: the need and wish for working historic computers in the proposed new gallery; the existence of technical expertise but without an organisational framework. to provide a social and organisational framework for practitioners, designers and engineers to participate in conservation and restoration activities. I recall that there were about 6 - 8 people present at that meeting. Tony Sale was there (then BCS Technical Director) and we believe that Roger Johnson was there (Technical Vice-President). I had met neither of them before. I do not recall that Tony spoke at that meeting nor did I know then which of those present he was. However I was very aware of a very strong presence – the third person down on the left at the table – because of the intense focussed attention he gave to what was going on. 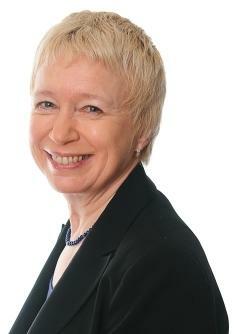 The outcome was an agreement to establish the Computer Conservation Society as a Specialist Group of the BCS – a joint venture between the Science Museum and the CCS. I have been trying to establish which BCS committee the proposal was made to. If it was the BCS Technical Board then Roger Johnson would have been in the Chair. We may never know who was at the meeting nor might I ever recover my script for the presentation. The Museum’s Registry file for the founding of the Society vanished in the early 1990s. It has never been found. Water damage had not yet been invented. On the day immediately following the BCS meeting I was back in the IAP office in The Old Canteen and was told that I had a visitor. Tony introduced himself. He was wearing his hallmark light grey suit, white shirt and tie, and a mac. He said that my proposal to the Committee had ‘pushed all his buttons’ (his words), and that he would like to join me in the proposed activities. I was the budget holder for the gallery project and the source of funds was the computing industry. I had the freedom to disburse funds without mediation or consultation. I am reminded of Maurice Wilkes and his role in relation to EDSAC in the late 1940s. I once asked him how he had succeeded where others had failed. He said ‘others had committees to help them’. He was the budget holder and was not accountable for anything but the end result. He famously remarked that being able to operate without the restraint of consultation were circumstances that were ‘highly unusual’. Tony migrated almost immediately from the BCS and joined me in the Old Canteen to do battle with the forces of fate. create the CCS as a framework in which to marshal and manage the volunteer effort on which the restorations would depend. public display and live demonstration were an essential feature and motivation of volunteer restorers. This core motivation remains unchanged today. the notion of a ‘club’ – the CCS as I conceived it was to provide a forum of companionship and exchange, a place to share expertise and exercise skills for anyone who shared an interest in the history of computing machines. A start-up committee was quickly formed with Ewart Willey, Sandy Douglas, Roger Johnson and Tony Sale and, I believe, me. A constitution was drawn up and on the 13th September 1989 the CCS was formally recognised as a Specialist Group of the BCS, eight days from my first proposal to the BCS committee. Ewart Willey agreed to be the first Chairman of the CCS Committee, Tony was the first Secretary of the Society, a post he held for seven years. We held an inaugural meeting on the 12th October organised by Tony and the Start-up Committee. This was an open meeting in the main lecture theatre of the Museum, the purpose of which was to launch the restoration programme and invite volunteers to join what we called ‘Working Parties’. 67 people attended the meeting and the response to the appeal for volunteers to undertake the restorations was hearty. Six Working Parties were established that day for the restoration of the Ferranti Pegasus, the Elliott 803 and DEC minicomputers. There was also an S100 team, and a software preservation team headed up by Prof. Martin Campbell-Kelly, and ambitions for an Elliott 401 team. established the Corporate Sponsorship scheme which produced a secure income stream from industry. played a major role in the creation of Resurrection – the quarterly bulletin of the Society. established and maintained a programme of lectures and seminars that have become a unique forum for the history of computing. marshalled and co-ordinated the activities of the Working Parties. organised ‘In-Steam Days’ – Open Days in The Old Canteen where members, guests and visitors could come to see live restorations as well as already-working machines. The Old Canteen was our clubhouse and the first two years were the glory days of the CCS restoration programme. In-steam days had the flavour of a celebratory carnival and they were invariably packed. There was a complete alignment of the aims and objectives of the Museum and those of the CCS. On any given day you could come to the Old Canteen and there would be members of Working Parties whistling away coaxing these venerable machines into life, happy to speak and engage with you, with Tony buzzing about keeping the show on the road, happy as a sand fly. The role that Chris Burton has played throughout the history of the Society is difficult to overstate. Best known now for his remarkable reconstruction of the Manchester Baby, at various times headed up the Working Parties for Pegasus and the Elliott 401. He has been an anchor of the Society stepping into the breach on so many occasions. He brings professionalism, forensic attention to detail, a systematically thorough way of working, and a brand of respectful diplomacy in all he does. 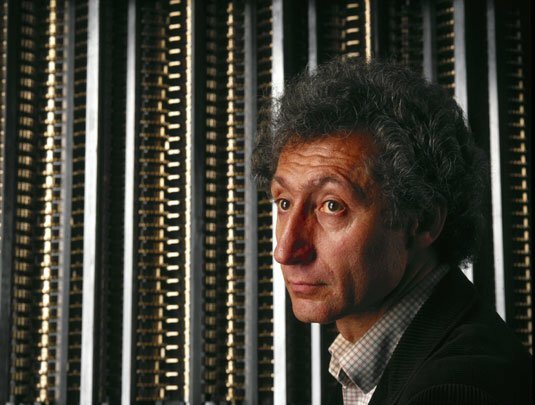 His current work as part of the EDSAC team exemplifies his earlier contributions to so many of the core CCS projects – deep machine-specific knowledge and expertise shared with unreserved generosity. When acquiring an object for inventory a curator was then required to sign a formal declaration: ‘I hereby take responsibility for this object’. From that point on the object is subject to formidable protective measures with respect to alteration and disposal. Only a curator could give permission for physical access to an inventoried object and only a curator could approve any intervention that would affect the physical integrity of the object. Restoration to working order involves intervention of different degrees of severity, some of it extreme – recabling, replacement of parts, repair, reconfiguring and so on. The rigorous safeguards enshrined in curatorial practice are designed to protect the physical integrity of a machine and through this its historical authenticity. We cannot foresee how these machines will be interrogated in the future. Pegasus may become an object of interest to someone researching the history of paint – its cabinets were painted by a motor car coachbuilder in livery involving seven separate coats. Someone researching the history of electrical insulation may be interested in an historic machine to see when rubber or PVC first replaced say fabric or rubber sleeved insulation. How, if we recable a harness of rubber sleeved or cloth-wound conductors with PVC insulated conductors, can we avoid misleading future generations of enquirers? How can we responsibly extend access to inventoried machines to volunteer members who are outside the official circle of accountability? How do we ensure that any action that physically alters the machine conforms to rigorous conservation protocols? These were two of the main museological challenges upon which the legitimacy of the restoration programmes depended. – all and any changes were to be documented, needed to be visually distinctive in the machine, and preferably reversible. – the introduction of formal procedures that required a written work plan detailing all proposed action. No work could start until this had curatorial approval. – all work sessions had to be logged. These measures – induction and the introduction of formal procedures requiring authorisation – allowed us to bridge the accountability gap. We left our Working Parties in The Old Canteen happily working away. The recession in the computer industry in the late 1980s scuppered the funding base for the Information Age Project and with it the gallery project. We managed to secure a year of additional funding for Tony through his participation in a Museum Conservation programme the purpose of which was to identify lessons learned from the CCS activities to that time. After this we lost the use of the Old Canteen and the restoration activities were to have been relocated to promised facilities at Blythe House, the Museum’s small object store in Hammersmith, three miles down the road from the South Kensington site. Facilities for the Society were not immediately forthcoming and this created a damaging hiatus of nearly two years in the programme, and Blythe House which is a secure store, was not geared for public access or demonstration which, as we have seen, had always played an important part in volunteers’ motivations. With the transfer of controls away from curators to others less charmed by the joys of restoration, and the collapse of IAP as a funding source, I was unable to protect Tony any longer. In 1993, some three years after the start of the Society, Tony left for Bletchley Park, started the Colossus reconstruction, led the campaign to save the site, and founded The National Museum of Computing (TNMoC) there. Chris Burton transferred his attentions to the reconstruction of the Manchester ‘Baby’. The completion of both of these reconstruction projects are monumental accomplishments. Early in 2000 the restored Pegasus went on public display in the main building. I was by then Assistant Director & Head of Collections and in that capacity it was easier to make this happen. The Society has a special relationship with Pegasus. Pegasus was the flagship project of the CCS and the first system chosen for restoration to working order. The successful restoration of Pegasus was an important staging post in our own self-belief that the ambitions of the Society were realisable. It is also the only machine restored by the CCS that went on public display at South Kensington. It is a remarkable achievement to have to have kept this 1959 vacuum tube machine working for the last quarter century. The Science Museum has suspended computer restoration activities indefinitely. There is no technical reason why Pegasus cannot be kept running. Nor is there a credible conservation reason why operating it should cease. But the Museum’s priorities have changed. Pegasus will be decommissioned, dismantled, and put in store. Its end as a working exhibit on display to the public at South Kensington symbolises the end of a quarter century of collaborative restoration between the Science Museum and the CCS. The main restoration and reconstruction activities are and have been for some while located at Bletchley Park at The National Museum of Computing (TNMoC) and the list of past and current projects is simply stunning. I am happy to report that on its 25th birthday the CCS finds itself in rude health. It has over 1200 members and circulates Resurrection, the Society’s quarterly bulletin, to them all. The programme of lectures and seminars thrives, and Resurrection, a unique chronicle of computing history, continues in full song. I would like to thank and pay tribute to the efforts of those who have brought the Society to this happy state. This is a shortened version of the first part of a lecture Computer Conservation and Museums: Fight or Flight? given at the Science Museum on 16th October 2014 to mark the 25th anniversary of the founding of the Computer Conservation Society. Doron Swade can be contacted at . The original title of the new gallery in the London Science Museum was The Making of Modern Communications so you might be forgiven for thinking that this new exhibition space is devoted to telecommunications, rather than computers. But you would be wrong. Something around half of the gallery is about computers which, in view of the march of digitisation in what had previously been a largely analogue world, is perhaps as it should be. Look for the gallery in the space just beyond the mathematics area where (at least for now) Pegasus lives. The first thing you will see is a model ship and you might imagine you were in the wrong place since this room was previously devoted to shipping. But this is Brunel’s Great Eastern, layer of the first trans-Atlantic telegraph cable. Circulating clockwise you are taken through the world of early telecomms, telephone, radio and television and although these may not be of foremost interest to CCS members, it is useful to be reminded that the first use of long-distance telecommunications was the electric telegraph – a digital medium albeit not one involving the use of computers. Coming to our own world, we are drawn to information about the Web: Google Earth, a lecture on packet switching by Sir Tim Berners-Lee and some remains of the first UK Internet node at University College London. Then we arrive on more familiar ground. 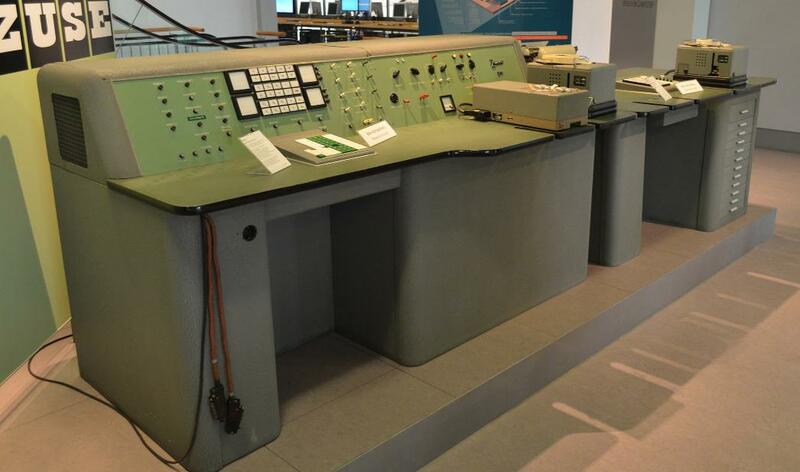 The NPL’s Pilot ACE is here, as is the CDC 6600, its Soviet equivalent BESM6 (see picture) and the console of an IBM 360/195, each in their day the muscle of scientific and defence computing. A display of early micros includes the pioneering Altair 8800, the seminal but unsuccessful Apple Lisa (but sadly not the Museum’s Apple I), the IBM 5150 PC and many others. We also get another video lecture on the odd story of how the ARM processor was designed. I started by gratuitously mentioning the proximity of Pegasus. A strange and perhaps unintended consequence of the new gallery is that Pegasus is now seen and admired by many more visitors than hitherto. So, worth a visit? Yes, certainly. Again, something for everyone here.